There will be a meeting at the Community Centre on Sunday 27 May at 2:30 pm to help people to learn about action groups – what they are, how they operate, what they need to know and do. Senator Giz Watson from the Greens and Hilary Wheater from Fragyle will share their knowledge and experience. Everyone is welcome. Coakes Consulting have extended the period for phone interviews to mid June. If you have not already participated in this process you are strongly urged to call them on 9226 5388 and give them your views. None of us are experts on wind farms but there is a lot of information available on the Internet and elsewhere so if you are unsure of how to react to the proposal you can search the web and learn lots about it very quickly. As a result of this extension, the Community Open Day has been delayed. You should receive advice from Coakes regarding this day and we have made some suggestions about how they could improve their notification process. We will also post the information on this site as soon as we are advised. The file is too big to load on the website. If you would like a copy send a reply to this website and I will email it to you. Submissions need to be forwarded to the Department of Environment and Conservation at PO Box 454, Kwinana 6966. Submissions need to state clearly the reason why you have concerns with the proposal being approved. More than one submission can be sent but only one from each concerned resident. The person submitting the submission need to state their name, address, proximity to proposal and what they object to ie whether it is dust emissions, noise emissions, increased traffic on the roads, potential pollution of the groundwater or whatever your concerns are. I have received notification today that the works approval for the PMR Quarries Pty Ltd has been approved for screening etc of material. I am getting a copy from the DEC Kwinana Office of which we then have 21 days from Monday 14th May 2012 to lodge an appeal with the Office of the Appeals Convenor. This is the EPA report on the land owned by Cape Bouvard Investments dated May 2011 regarding their try at putting something on the land. This is an email from Mike Sheppard from the Jurien Bay Progress Association. Hi. Thanks for your enquiry. We have 2 operating wind farms in our shire. Emu Downs is commercial with about 50 towers and the other is a private one , 7 towers?, serving a large horticultural business. There are 3 others at various stages, they have been approved by the Shire, but are not under construction due to various commercial considerations however, 2 of these, Yandin and Waddi I believe, are about ready to go. The total number of towers approved could be between 180 and 210, depending on the generator size. There has been extensive community consultation in the planning stage of these projects. Emu Downs has been in operation for several years with, as far as I am aware, no complaints or concerns however, I would point out that it is located in a sparsely populated farming area and about 12 km from the nearest town of Cervantes. The Waddi and Yandin sites are generally within 10 km of the Dandaragan Townsite (2kms at the closest). There has been considerable consultation with the residents of the Dandaragan and Badgingarra townsites. Therefore, to try and answer your questions, the effect on residents is difficult to quantify as there are only a few living near the Emu Downs site. The noise factor is, again, difficult to quantify. At the Emu Downs site, the nearest house was landscaped with a dense belt of trees between the house and the nearest tower about 1km away. You will need to make up your own mind depending on the circumstances howevr, we have had no problems with the wind farms in this shire. This is a letter from one of the visitors to the Windfarm meeting on Wednesday 2nd May and not the opinion of the Progress Association. A meeting was held on Wednesday 2nd May regarding the Clifton Beach Wind Farm. It was well attended with approximately 60 people, locals and from interest groups. Lots of information was given by Cape Bouvard Energy and lots is still sought by the community. There were three people from Coakes Consulting, Damien from Ecologia and Stephen Watson from CapeBouvard Energy. They mentioned that there would be holding an Open Day in the first or second week in June. If you wish to be notified by Coakes Consulting about the Open Day please contact Asten on asten@coakesconsulting.com. Tourism BOOST – New online tool! Welcome to this, the first edition of our e-newsletter. I hope you find the information useful and informative. Since becoming Small Business Commissioner mid-January, my first priority was to deliver an effective and affordable Alternative Dispute Resolution service for small businesses in WA. This service came on stream on the 26th March and has been very well received. Within the first 14 days of operation, 170 calls were taken by SBDC advisors and as a result 28 disputes are now being handled by our case managers. Establishing the ADR service, together with taking up the reins as CEO of the Small Business Development Corporation (SBDC) has made my first three months in the job both challenging and extremely interesting. With the ADR service now in operation, I am turning my attention to meeting more small business owners and listening to their concerns. I hope to meet more of you and I will be travelling to the regions in the coming months. So far I have visited Albany and I am scheduled to visit Geraldton on 3 May, Kalgoorlie on 9 May and Bunbury on 15 May, with more visits around the State planned for later in the year. In recognition of the importance of small business in WA, the Government established the state’s first Small Business Commissioner. It is the most significant initiative for small businesses in WA since the establishment of the SBDC in 1984. 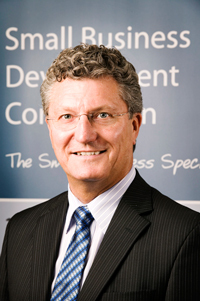 David Eaton was appointed to the position of Small Business Commissioner in December 2011 and took up as CEO of SBDC in mid January 2012. One of the first priorities for the Commissioner was to introduce an Alternative Dispute Resolution service (ADR) for small business and on 26 March 2012, this new service was launched. The ADR service is based on the successful Victorian model and will provide small business operators with a low cost alternative to the court system. The new national Australian Business Number/Business Names register is due to commence on 28 May 2012 and will enable current and new business name holders in Australia to register their name through a simple and easy to use online service. New businesses will only need to register their name once, and will no longer be required to register separately in each state and territory they operate in. Existing business names currently registered in Western Australia will be automatically transferred to the new register. Small business operators are invited to learn more about the register at free information sessions being held by the Australian Securities and Investments Commission (ASIC) on Tuesday 15 May at 10am and 1pm and on Wednesday 16 May at 10am, at the Hotel Ibis Perth, 334 Murray Street. The sessions will help business name holders and industry professionals better understand the new register and hear first-hand how the transition from state and territory registers will take place. The SBDC encourages all business operators and representatives to attend these sessions – to book your place, visit the ASIC Website. For more information about the ABN/BN Register please visit our website. According to the Clean Energy Future website, carbon pollution is the main cause of climate change. The Federal Government has introduced the carbon pricing scheme (e.g. the carbon tax) as a measure to reduce Australia’s level of carbon pollution. The aim is to reduce carbon emissions and improve energy efficiency. The carbon tax will come into effect on 1 July 2012 and it is wise for small business owners to understand how the carbon pricing scheme might affect their business prior to its introduction. Clean Energy Future (a Federal Government agency) has released a brochure to assist small businesses understand the impacts of the carbon tax. While small businesses will not have to directly pay the carbon tax or monitor their pollution and electricity use, they may be indirectly impacted by the carbon tax. The Small Business Development Corporation recommends all small business operators check out the Clean Energy Future brochure for more information. The Aboriginal Business Directory WA is a free service that provides a comprehensive list of Aboriginal businesses operating in Western Australia and will make finding Aboriginal businesses easy. We are currently seeking Aboriginal businesses operating within WA to be included in the directory. If you would like to be included, or know of a business that would qualify for inclusion, you can register online. Alternatively you can email your details to info@abdwa.com.au or call 13 12 59. 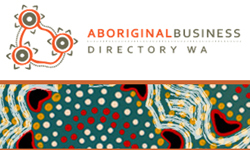 The Aboriginal Business Directory WA is a joint project between the Department of Indigenous Affairs, the Department of Training and Workforce Development, the Small Business Development Corporation and CCIWA’s Project Connect. While Australia’s new Personal Properties Securities Register (PPSR) came into effect in January 2012, many small business operators still do not know what impact this will have on their business. The PPSR is a single online national register of personal properties securities replacing over 40 Commonwealth, state and territory security registers. It is designed to make life easier for businesses by protecting their interests over personal property through a central register of security interests. As a result of these changes, many small businesses will find their suppliers are now seeking to update their terms of trade. Similarly, small businesses providing goods on terms to customers should also consider updating their terms of trade so they can register their security on the new PPSR. A major change with the introduction of the national PPSR relates to retention of title clauses in supply contracts, whereby the seller retains ownership of the property until it is paid for. In many cases, this interest must now be registered on the PPSR to be effective. Other areas of concern are security under hire purchase agreements, conditional sale agreements, and the lease or hire of equipment for a period of more than 12 months. Secured parties should take steps to review their agreements and amend them where necessary. While registration on the PPSR is not compulsory, the SBDC recommends all small businesses register their security over personal property in order to protect their interests. For more information, visit the PPSR website. A range of changes to consumer law has taken place over the past eighteen months, commencing with the new rules for unfair contract terms in July 2010, followed by the implementation of the Australian Consumer Law on 1 January 2011, which covered the majority of changes including rules about consumer guarantees. Further to this, new rules covering product warranty information came into effect on 1 January 2012. The Australian Government has developed a range of guides to assist businesses understand the new consumer laws. These guides can be downloaded from the Australian Consumer Law website. For more information on these changes and the introduction of the Australian Consumer law visit the Consumer Law website, see the ACCC’s video or visit the Department of Commerce’s website. SBDC Senior Business Advisors, Mike O’Donnell and Russ Davis have become mentors to the participants involved in Scitech’s 2012 Young Innovator of the Year Program. The junior program runs from March – September and will see entrants aged 13 – 21 years bring their innovations to market. Both Mike and Russ have many years of business experience and are looking forward to mentoring these keen young entrepreneurs. SBDC’s highly successful tourism development program Tourism BOOST now has a new online resource. 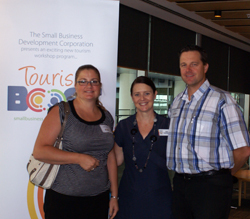 In 2012 we will be visiting locations around WA hosting Tourism Boost workshops covering the topics of; understanding the tourism industry, how to make your business stand out from the crowd and how to succeed in the online world. To find out when Tourism BOOST will be in your local area, call 13 12 49 or visit our website. Succeeding Online is a practical, interactive workshop which will teach you how to create a website from scratch or update your existing site and give you the knowledge to be able to effectively communicate with IT professionals. You will also discover how to access detailed statistics about your website, how to optimise your site so it ranks highly in Google and how to maximise your online marketing through avenues like Search Engine Optimisation and social media. Book online, call 13 12 49 or email to reserve your place. The 2012 Perth Franchising & Business Opportunities Expo will be held at the Perth Convention Exhibition Centre on Saturday 26 May and Sunday 27 May 2012. Free registration to the expo is available on the website, so register now to save paying an entry fee at the door. The expo is a good opportunity to see displays by various franchise and business groups, speak to representatives from legal and consulting firms who specialise in franchising and chat with an advisor from the SBDC. Check out our new Media Centre for regular updates and great stories. This is a great resource for journalists looking for small business stories and small business operators with stories to tell. If you have a story to tell or a looking for a story lead, check it out today! If you are considering buying a franchise and want to know more about ‘due diligence,’ take a look at the latest webinar by the Griffith University Asia-Pacific Centre for Franchising Excellence. This webinar is also appropriate for those buying an independent business, rather than a franchise. Attached is a list of Waroona Events. Starting at 6.30pm there will be 3 people from Coakes Consulting and Stephen Watson from Cape Bouvard Energy. You are all welcome to attend.